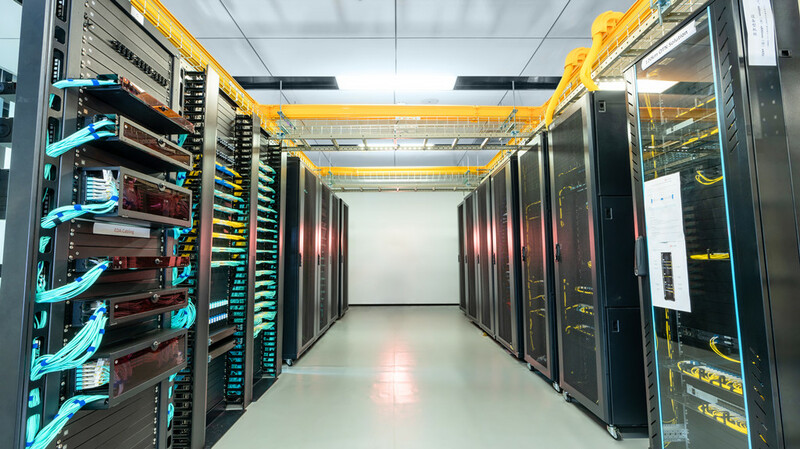 Data centers today consist of rows of server racks and network cabinets to support an abundance of data cables, power cords and network devices. Deliver proficient cable management within a confined and tightly-spaced server rack is quite difficult. However, cable management is no longer a nightmare if you follow the right guide and work with some test-and-tried tools. Here we’d like to offer useful advice for server rack cable management, and recommend some efficient and reliable management tools. 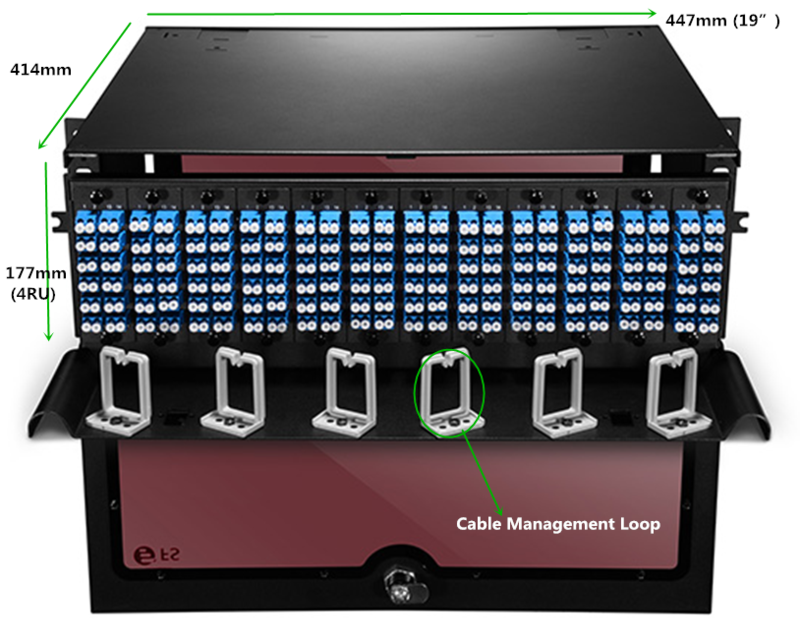 Improved system performance: server rack cable management demands to separate power and data cables within the racks, which greatly decrease the chance for crosstalk and interference. Enhanced availability: Effective server rack cable management allows easier access to cables and IT devices, yet to reduce human error. Improved maintenance and serviceability: Effective rack cable management also ensures easier and safer access to individual components. Increased cooling efficiency: let hot exhaust air out from the back, server rack cable management keeps cables organized and out of critical airflow paths. 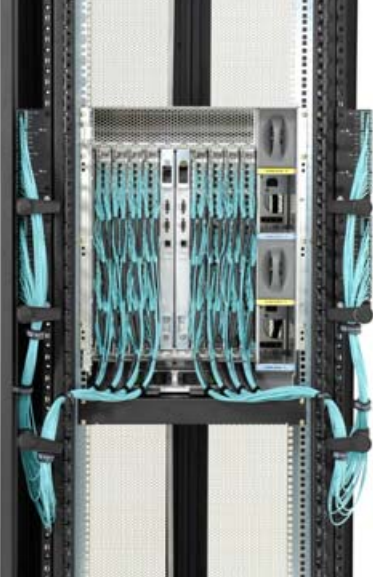 Improved scalability: cable management in server rack simplifies moves, adds, and changes, making it easier to integrate additional racks and components for future growth. Plan appropriately. It greatly contributes to smooth server rack management process. Consulting a professional cabling contractor can always be beneficial. Determine the routes for power and data cables. Determine if they enter from the top or bottom of the server rack. Then plan the routes to separate power and data cables, and copper data cables and fiber. Identify cables. Use colored cables as well as cable labers to ensure easier cable identification. Route and retain cables. Cables must be protected at points where they might encounter sharp edges or heated areas. Cable ties and cable managers can be used to this end. Secure cables. Cables and connectors should be secured to prevent excessive movement and to provide strain relief of critical points. Avoid thermal issues. Ensure the airflow path is rather important, since restrained airflow can cause temperatures rise that would shorten devices’ expected lifespan. Document and maintain organization. Documenting the complete infrastructure including diagrams, cable types, patching information, and cable counts is important. Horizontal cable managers are excellent for any kind of cable – fiber, coax, patch cables, copper wiring and more to ensure that your cables are well-organized and protected. Horizontal cable managers come with rack-mountable 1U or 2U design, and some of them are built with finger duct and D-rings for easier finger access in server rack. Vertical cable manager work very well to organize and hold cables to ensure proper air flow, avoiding overheating in complex server rack environment. They’re also great for installations where you need to save space or need to make more room in the future to expand your network. If you need to organize cabling within server racks, cable hangers can come in handy. Cable trays are excellent for running wires from one place to another and can be mounted on the floor or overhead in the ceiling. For data and telecommunications networks a copper patch panel is essential. A patch panel is a board with a number of different ports to connect network wiring. 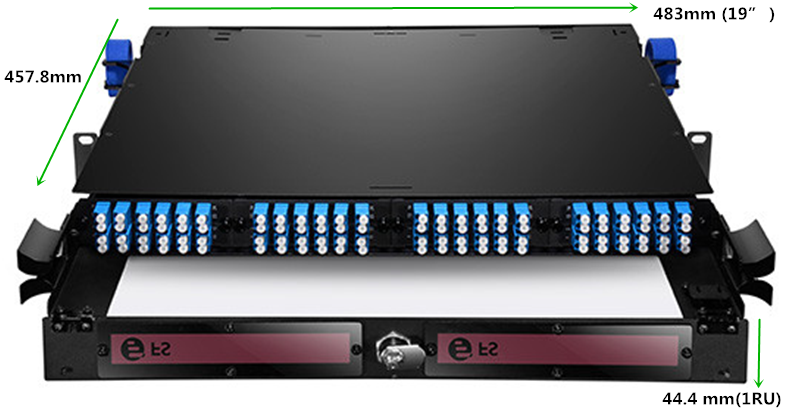 Ethernet patch panels are available in a variety of different configurations depending on your cable types and needs: there are Cat5e patch panel, Cat6 patch panel and Cat6a patch panel, each with different port counts such as 24-port patch panel, 48-port patch panel, etc. Copper patch panel is also great for consolidating cables so that your server rack looks neat and organized. Similar to data patch panels, fiber patch panels are designed specifically for fiber optic cables. 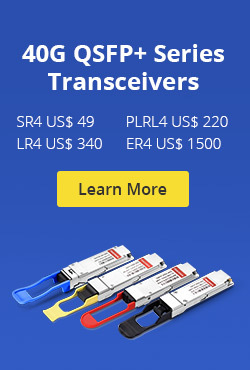 Also known as termination units they can accommodate connectors, patch cables and more. 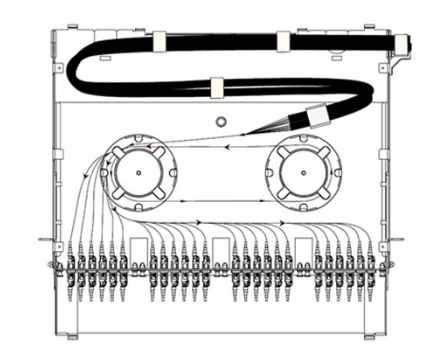 Network technicians can easily connect cable fibers through cross connection, test the cable patch panel, and connect it to other network equipment. 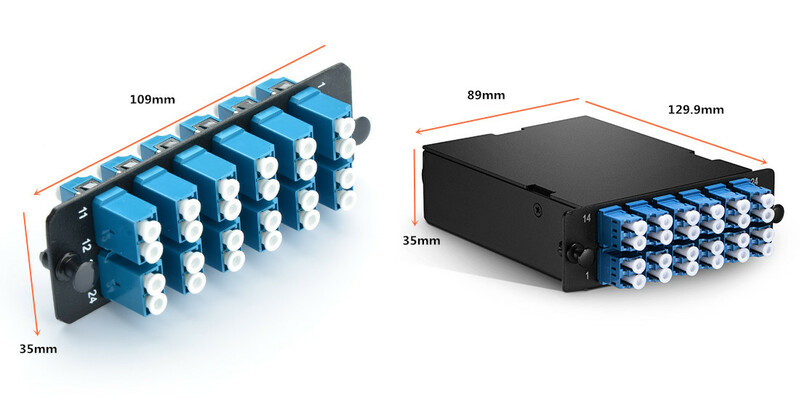 Grouping by the connector type, there are single mode and multimode LC/SC/MTP fiber patch panels with various port counts. 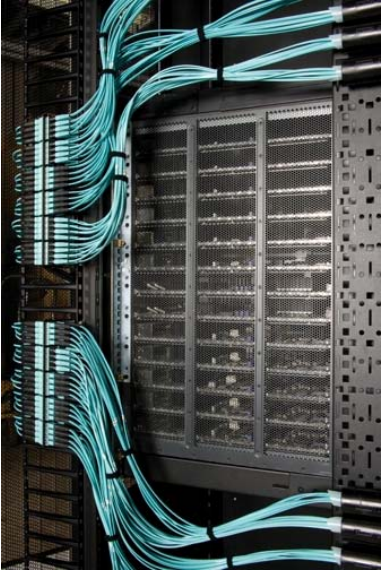 You can also choose blank patch panel to mix and match your fiber and copper cabling. 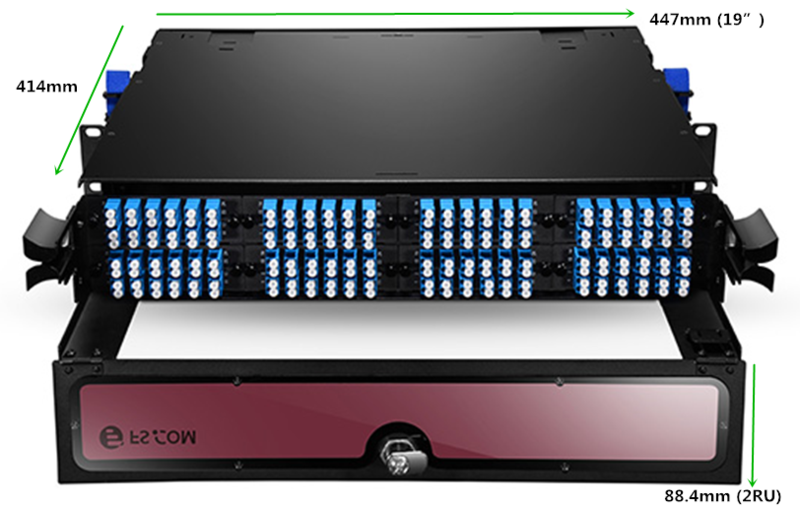 Effective server rack management helps to improve physical appearance, cable traceability, airflow, cooling efficiency and troubleshooting time while eliminates the chance for human error. Hope our guide on server rack cable management would help solve your problem. FS.COM provide tailored cable management solutions for our customers, as well as management tools like cable manager, patch panel, cable organizer and cable tie. If you need any help, please contact us at sales@fs.com. This entry was posted in Cable Management and tagged cable management, cable organizer, network cabinet, Patch panel, server rack on September 14, 2018 by Aria Zhu. As the networking environment of today becomes increasingly dependent on high-speed and high-density solutions, effective cable management is a real problem. The challenge is how to manage more cables in a smaller amount of space. The LC uniboot patch cord utilises a special “round duplex” cable that allows duplex transmission within a single 2.4mm or 3.0mm cable, which reduces cable management space by up to 70% comparing to standard LC patch cords. Besides, it has a unique polarity reversal design allows the fiber polarity to be easily switched without the use of any tools. In today’s LC uniboot patch cords market, there are usually three methods to reverse the polarity. 1. Locate trigger housing on LC uniboot connector and pull towards the boot. 2. Open trigger housing is resting on the boot turn each LC connector to the outside 180 degrees one at a time. 3. Complete the polarity reversal by turning the resting trigger housing 180 degrees around boot and click into LC until you hear a click. 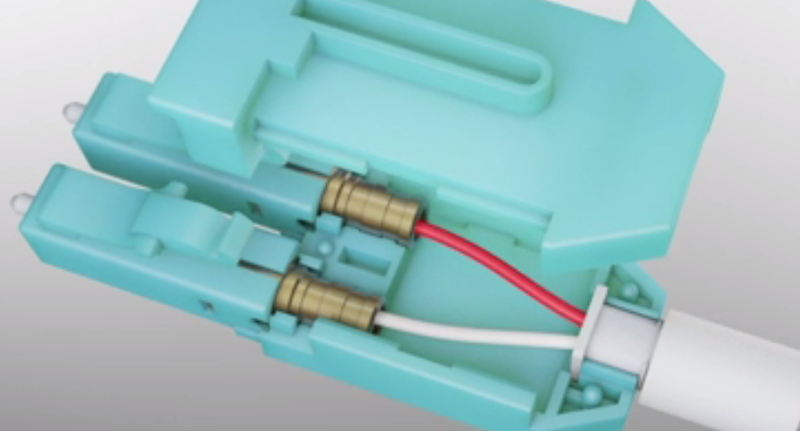 Uncrossed lines under the connector latch on the housing at both ends indicates uncrossed fiber polarity A-B/B-A. 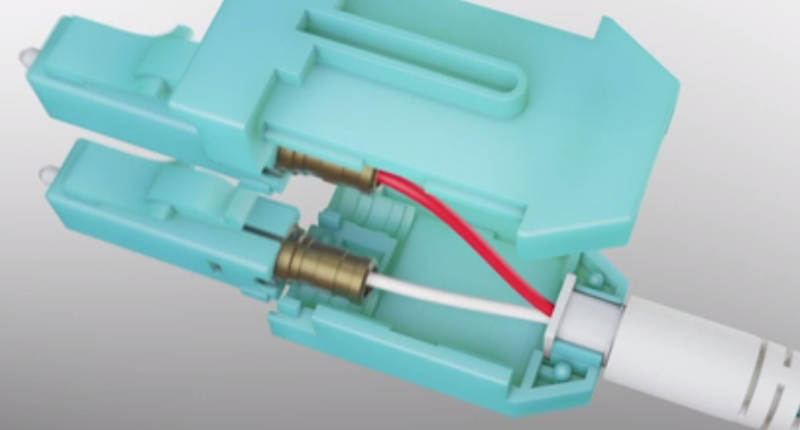 Push the keys on either side to unlock the housing to remove the front section of the Uniboot housing. Slide the front housing away from the rest of the Uniboot. Flip the released section of the housing. Do not rotate or twist the fiber. Push the housing back over the ends and the rest of the Uniboot connector until it clicks back into place. Finished result should now show crossed lines under the flipped connector latch and uncrossed lines on the unaltered end. This would indicate a crossed fiber polarity A-A/B-B. Different kind of LC uniboot patch cords may have different polarity reversal design, therefore we must use different method to change the polarity. When you choose to use LC uniboot patch cords in your network, keep in mind to take the polarity reversal methods in to consideration. FS.COM LC uniboot patch cords (easily reverse the polarity with method one) terminated with premium grade zirconia ceramic ferrule connectors which help assure high transmission quality and low optical power loss and offer improved airflow and visibility of equipment within a high-density network environment. This entry was posted in Fiber Patch Cord and tagged cable management, LC connector, patch cords on August 17, 2016 by Alice.Gui. ● Contacts fully isolated from the panel. 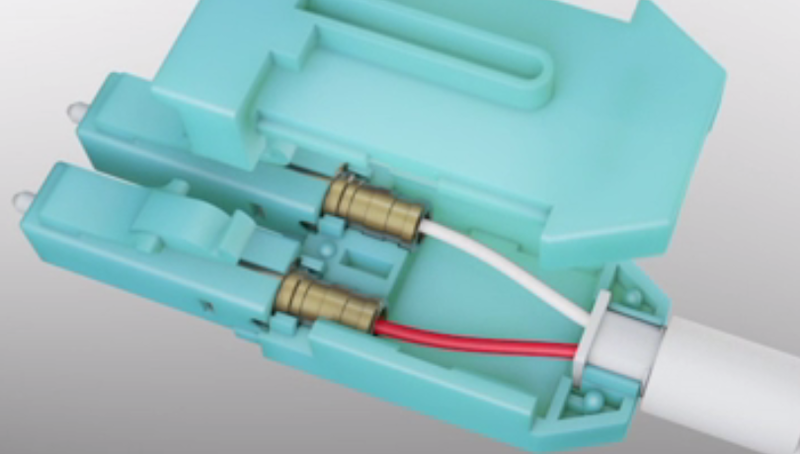 ● Sealed metal housing to keep out contaminants and provide EMI protection. ● Easy replacement from the front of the panel. ● 75 Ω characteristic impedance. ● Wide designation strips, making it easier to label the field and to allow more flexibility in selecting names that will fit on the lables. If a patch cable is inserted in the signal path of a timed video system, it will delay the signal by an amount determined by its length and physical properties. The patch thereby alters the timing of the signal path. This can be avoided by using phase-matched normal-through fiber patch panels. 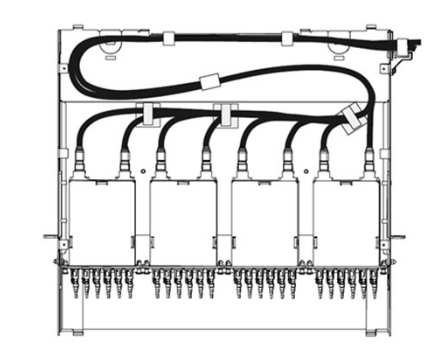 The design of these patch panels anticipates the delay caused by a fixed length of patch cable by including that length in the loop-through circuit. 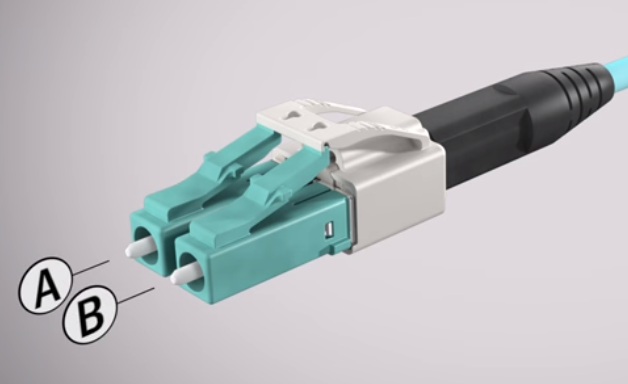 With phase-matched panels, the normaling connection in each connector module includes a length of cable that provides a fixed delay through the panel, usually 3 ft (0.914m). If a patch cord of the same length as the internal cable is used to make connections between patch points, the delay will be the same as that of the normal-through panel. 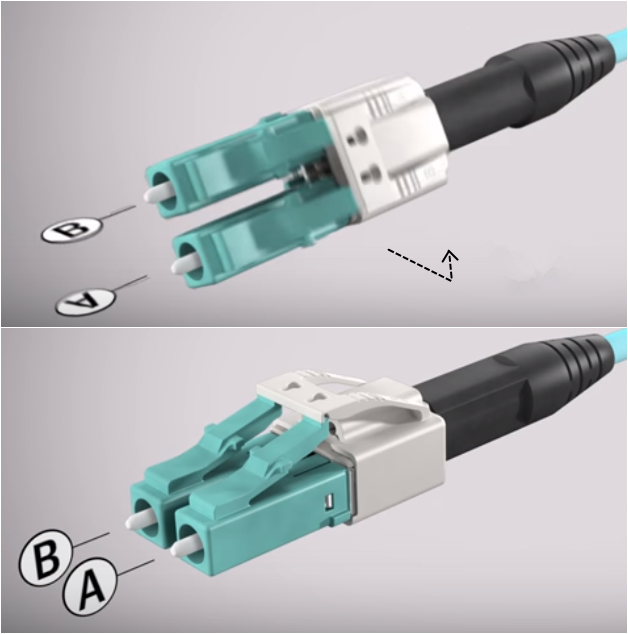 When a fiber optic patch cord is plugged in, it is substituted for the loop cable through the swiching mechanism normally used in normalled patch connectors. Thus, critical timing relationships can be maintained. 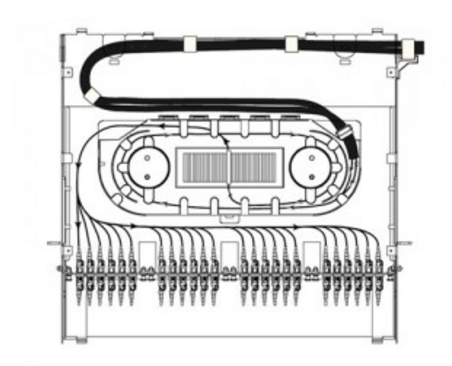 In a normal uncompensated patch panel, when a cable is used to patch between two points on the panel, the length of the patch cord is added to that of the cables connected to the patch. The additional cable length delays the signal by approximately 1.52 ns/ft (5 ns/m). To avoid the delays associated with conventional patch panels, phase-matched normal-through video patch panels should be used. If phase-matched patch panels are used, all of the patch cord must be the same length as the delay built into the patch panel. Obviously, if all of the patch cords must be the same short length for the phase-matched panel, it would not be possible to patch between panels that are separated by a longer distance than the cord can reach. This limitation should be considered when laying out patch panels in a fiber enclosure. Color-coded cables can be specified. When different-length patch cords are specified, different colors can be used to distinguish one length from another for better cable management. Fiberstore specializes in fiber optic patch cable assemblies and fiber optic network devices manufacturing since 1995, we are known as the fiber optic cable manufacturer for the excellent products quality, competitive prices, fast delivery and good service. 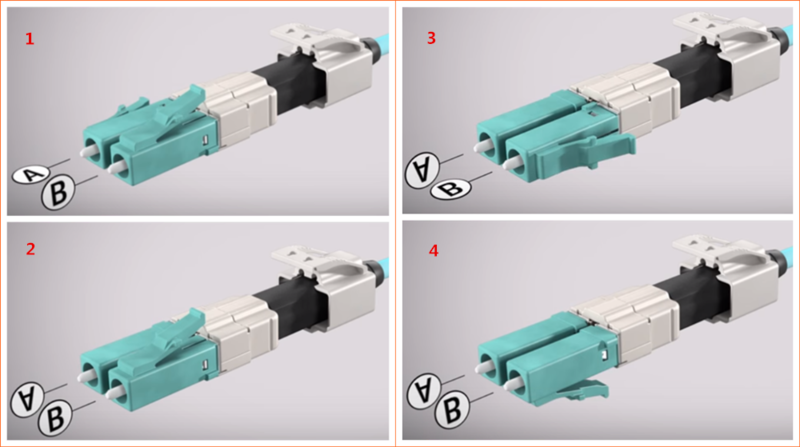 Our fiber optic cables are available with combinations of LC, SC, ST, FC, and MTRJ connectors and come in 1, 2, 3, 5, and 10 meter lengths (and OM3 cables up to 30 meters). We offer LC fiber optic cable, SC fiber optic patch cables, SC LC fiber patch cable ect. We not only offer OEM fiber optic patch cord assemblies to some world leading companies in this industry, but also cooperate with many other companies from all over the world and support these partners to win in the market. This entry was posted in Fiber Patch Panel and tagged cable management, fiber enclosure, fiber patch panels, Patch panel on November 18, 2014 by Amelia.Liu. The cable runs in a structured cabling environment terminate in a punch-down block, which is usually a 66-block or a 110-block, or BIX- or Krone-style blocks, “Cabling System Connections and Termination.” The 110-block is most commonly used for voice and data cabling termination, although you will find many installations that use a 110-block for termination voice systems and patch panel for terminating data systems. Punch-down block termination provides a cross-connect from one cable set to another, allowing for easier moves, adds, and changes (MACs) as the need arises. What Is A Punch-Down Block? A punch-down block is mounted to a backboard, which is usually made of plywood and secured to the wall of a TC. If you install cabling on more than the floor, each floor must have a separate punch-down block with terminations for the cable drops from the higher floors. Backbone cables should be installed with 10-foot service coils at the termination points, which are commonly located on the backboard in the closet. Figure 1 illustrates a typical TC. Install patch cables from the punch-down block to a patch panel. The purpose of the patch panel is to connect the backbone system to networking equipment such as a hub or router. End-user equipment, which includes workstations, network printers and scanners, and other shared electronic equipment, generally connect to a hub (also called a concentrator) or router via RJ-45 cable jacks or outlets. There are pros and cons to using cross-connect blocks. 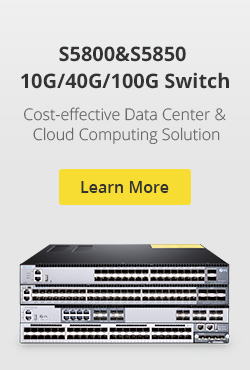 They offer higher densities and require less space than patch panels, and also are less expensive. On the other hand, they are the least friendly for making moves, adds, and changes to the configuration. Skill is involved in removing and rea-ranging cables. When using patch panels, almost anyone can rearrange the system. In both situations security, ease of attachment, expense, and physical space are all considerations. What Is Fiber Optic Patch Panel? Fiber optic patch panel is commonly used in fiber optic management unit. When you install and manage the fiber optic links, you may encounter hundreds or even thousands of fiber optic cables and cable connections, fiber optic management products are used to offer space and protection for the fiber cables and cable links, and they make it easier for the cable management and troubleshoot work. Our fiber optic patch panels are all sliding type, they are compatible to use with equipment and cable assembly products from other companies. Now you can see the two products from our store. 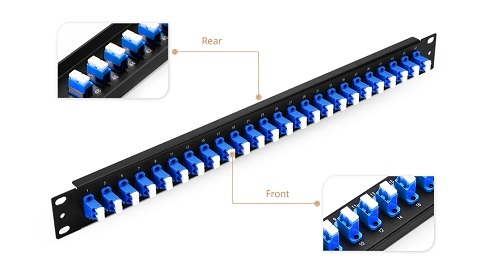 They are SC fiber patch panel, 24 Port Fiber Patch Panel. ● Adapter panels snap easily into all standard fiber enclosures, cabinets, and patch panels, including all Black Box® models. ● High-density panels with ST or LC connectors are available. We supply many fiber optic patch panels. They are with types to fit from 12 fibers to 72 fiber management demand. 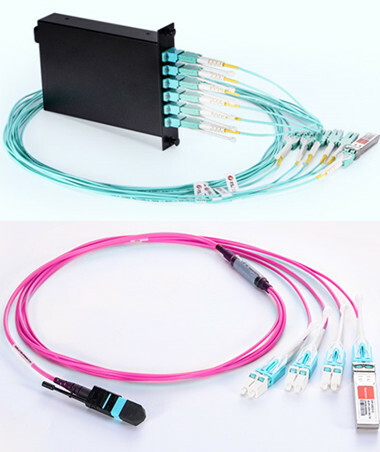 These fiber optic patch panels are with optional various kinds of fiber optic adapters and fiber optic pigtails, types including SC, LC, ST, FC, MU, E2000, etc. We have a number of different customizable options available to fit whatever application you require. With products compatible with trusted brands including Black Box, Wirewerks, Mr-technologies, Corning, Leviton, Panduit Opticom adapter panel and more. This entry was posted in Fiber Patch Panel and tagged cable management, fiber optic patch panels, patch panels on October 30, 2014 by Amelia.Liu.